For the last couple of years Sallins in County Kildare is alight with traditional music, song and dance during their annual trad festival. 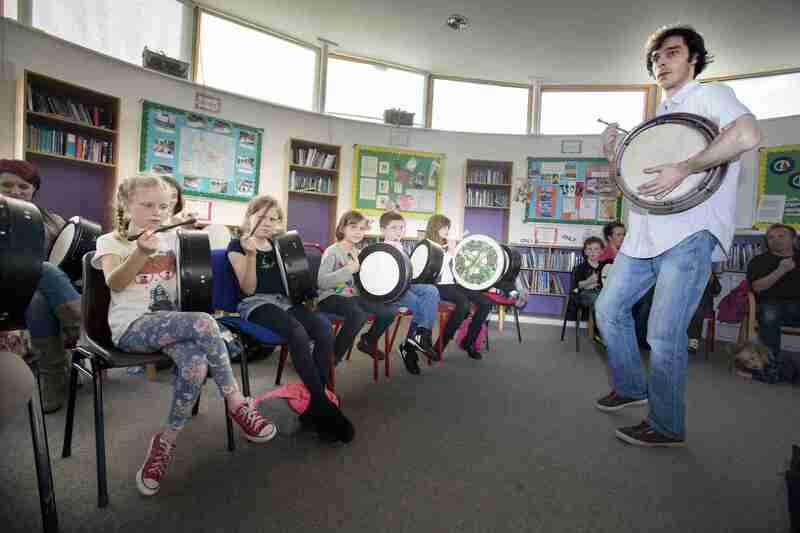 We were delighted to be asked back again to facilitate another fun filled bodhrán workshop. It was a fantastic day in Sallins and I really enjoyed working with the wonderful children from the community. Well done to everyone who helped organise the festival and thanks for having us back.